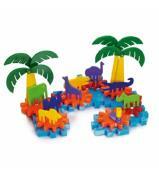 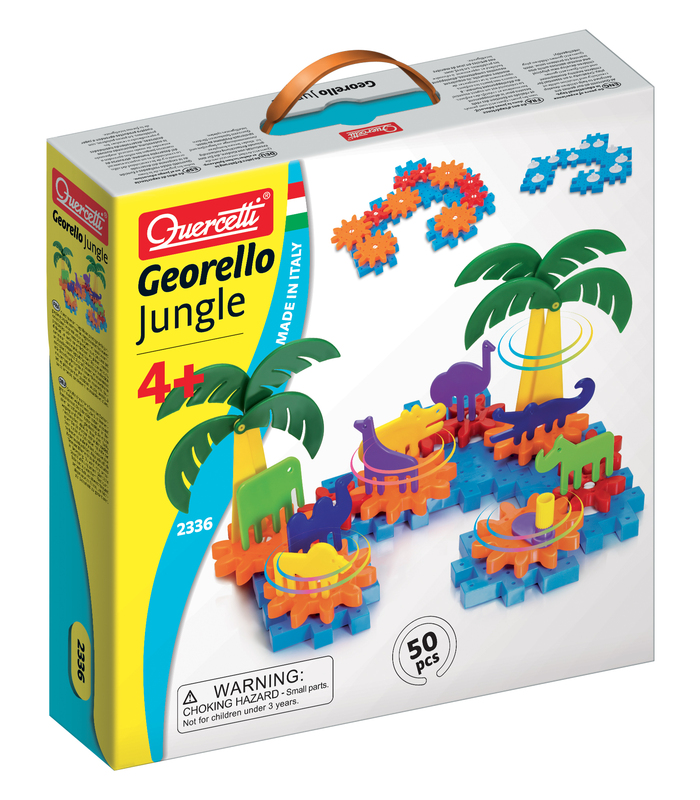 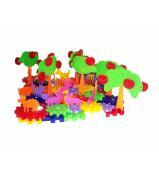 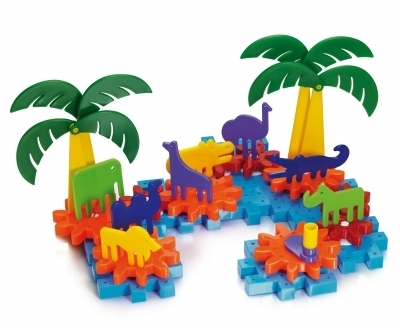 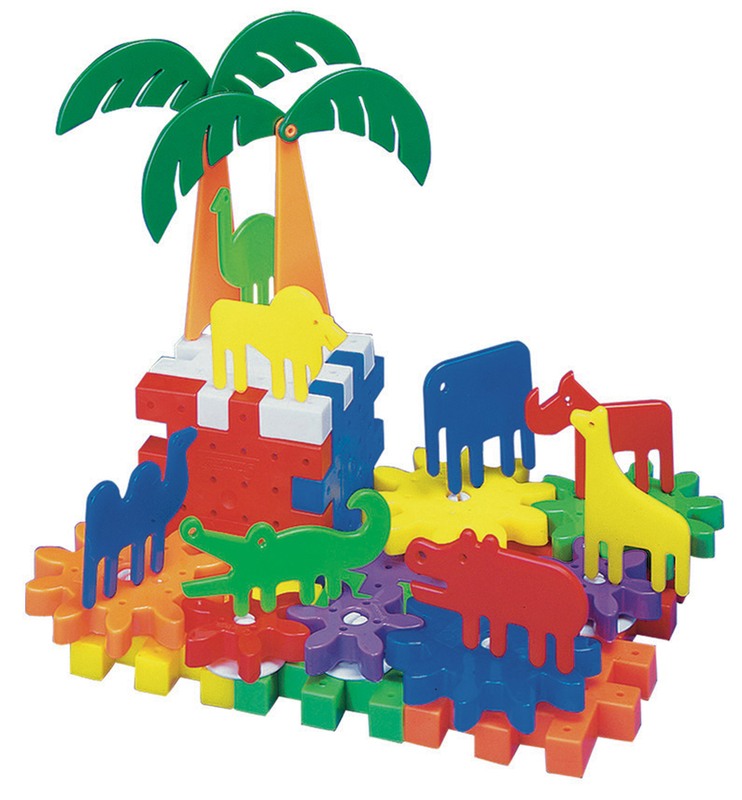 Build a charming jungle scene with this fun construction system that also teaches simple mechanics. 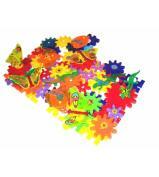 Construct a base by interlocking the plates. 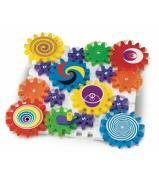 Then, using connectors, attach the gears to create a chain reaction. 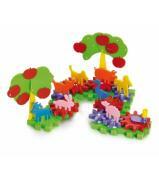 Add animals and trees and set everything in motion with spectacular effect. 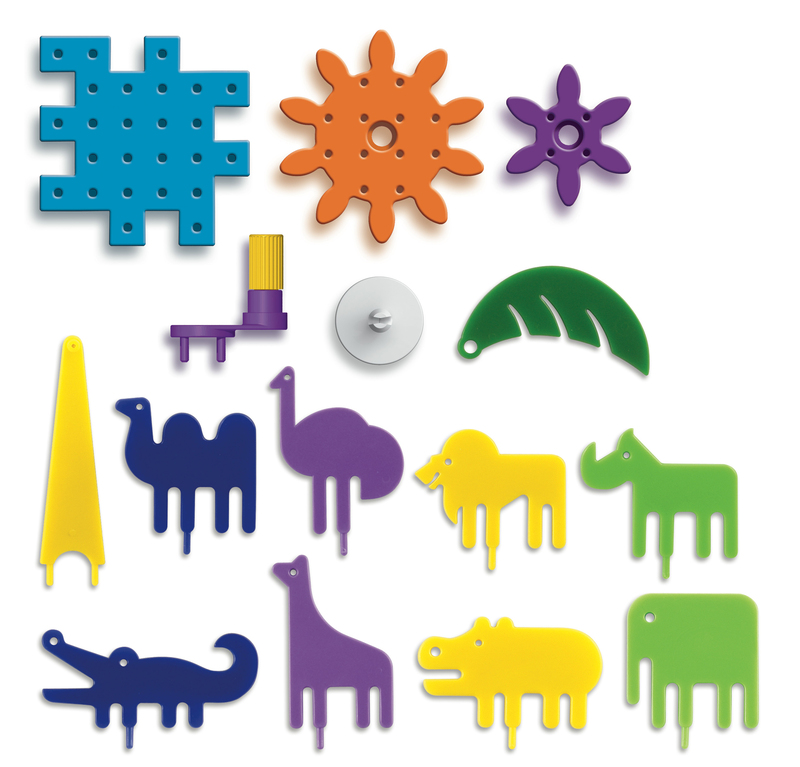 No small parts, all made of soft, washable plastic with round edges, totally unbreakable and safe.